What ended the 2013-14 season as a young team is now becoming a more mature, experienced team for the Colorado Avalanche. 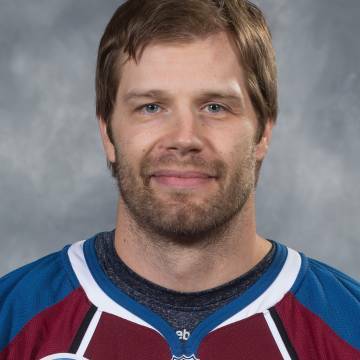 On Monday, the Avs acquired 36-year-old Daniel Briere from the Montreal Canadiens, and with the start of the free agent signing on Tuesday, Colorado signed Jarome Iginla, 37, who spent this past season with the Boston Bruins. Iginla has had an illustrious NHL career so far, tallying 1,167 points in 1,310 regular season games. His 560 goals place him at 24th on the NHL’s all-time list, where he is tied with Guy Lafleur. Additionally, Iginla’s 1,167 career points rank 50th on the NHL’s all-time scoring list. He has also played 81 playoff games, registering 37 goals and 31 assists, though he has yet to win a Stanley Cup. Iginla is a two-time Rocket Richard Trophy winner (2001-02, 2003-04), and he won the Art Ross Trophy in 2001-02. He received the 2002 Lester B. Pearson Award (now the Ted Lindsay Award) and has been a finalist for the Hart Trophy twice (2001-02, 2007-08). He was named to the NHL’s First All-Star Team in 2001-02, 2007-08, 2008-09, and was named to the NHL All-Rookie Team in 1996-97 and NHL’s Second All-Star Team in 2003-04. Iginla has also won two Olympic gold medals with Team Canada (2002, 2010) and represented his home country in the 2006 Olympics as well. Needless to say, this veteran forward is highly decorated. The 2014-15 season will be Iginla’s 18th. He spent his first 15-and-a-half seasons with the Calgary Flames, and he has since played with the Pittsburgh Penguins and Boston Bruins before signing with Colorado this week. In the 2013-14 season, Iginla put up 30 goals and 31 assists in 78 games for Boston, marking his 12th career 30-goal season. Colorado has now signed him to three-year contract through the 2016-17 season. But Iginla isn’t the only new signing for Colorado. Defenseman Brad Stuart, formerly of the San Jose Sharks, will also dress for the Avalanche this coming season. Stuart, 34, has a career 322 points (77 goals, 245 assists) and will be entering his 15th NHL season. He has spent the majority of his career with the Sharks but has played for the Bruins, Flames, LA Kings, and Detroit Red Wings as well; Stuart won the Stanley Cup with Detroit in 2008. Stuart had 3 goals and 8 assists in 61 games with the Sharks this past season, and he finished third on the team with 114 blocked shots and 122 hits. The Avs have also acquired defensemen Zach Redmond and Bruno Gervais, as well as forwards Jesse Winchester and Ben Street. Redmond, Winchester, and Street have all been signed to two-year contracts, while Gervais has a one-year deal with Colorado. Redmond, 25, played 10 games with the Winnipeg Jets this season, contributing 1 goal and 2 assists. He spent the majority of the season with Winnipeg’s AHL affiliate, St. John’s IceCaps, where he had 25 points (6 goals, 19 assists) in 40 regular season games and 14 points (2 goals, 12 assists) in 21 playoff games. Gervais, 29, spent this season with Philadelphia’s AHL affiliate, the Adirondack Phantoms, where he had 10 goals and 16 assists in 59 games. He has played in 418 career NHL games, spending time with the New York Islanders, Tampa Bay Lightning, and Philadelphia Flyers. Gervais has 87 points (16 goals, 71 assists) in his NHL career, and he has also appeared in 5 playoff games (1 goal, 1 assist). Winchester, 30, put up 18 points for the Florida Panthers this season (9 goals, 9 assists) in 52 games. He has also spent time with the Ottawa Senators and has a career 20 goals and 50 assists in 285 games. Street, 27, spent the majority of this past season with Calgary’s AHL affiliate, the Abbotsford Heat, where he had 28 goals and 32 assists in 58 games. He appeared in 13 games with the Flames as well and recorded 1 assist. Street has 2 assists in 19 career NHL games.